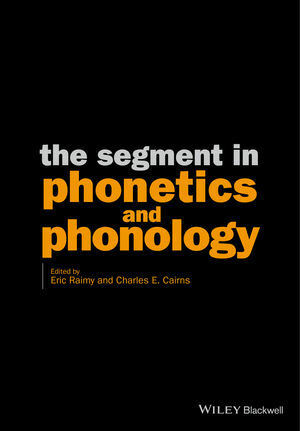 The Segment in Phonetics and Phonology unravels exactly what the segment is and on what levels it exists, approaching the study of the segment with theoretical, empirical, and methodological heterogeneity as its guiding principle. Eric Raimy is Professor in the Department of English at the University of Wisconsin–Madison whose research centers on phonology from a cognitive science perspective. His most recent publications are The Handbook of the Syllable (ed. Cairns and Raimy, 2011) and Wisconsin Talk (co-edited with Thomas Purnell and Joseph Salmons, 2013). Charles E. Cairns is Professor Emeritus of Linguistics at City University of New York, and his research specializes in phonology. His latest publications include Contemporary Views on Architecture and Representation in Phonology (co-ed. Raimy and Cairns, 2009).